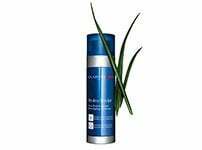 Home Cleansing Gentle Foaming Cleanser with Cottonseed "Normal/Combination Skin"
This Gentle Foaming Cleanser with Cottonseed for combination skin is as effective as soap, and as mild as cream. Targeted ingredients in the face wash work to respect and preserve the skin’s natural moisture balance. Enriched with comforting Coconut extract it nourishes, softens and boosts the skin’s radiance. 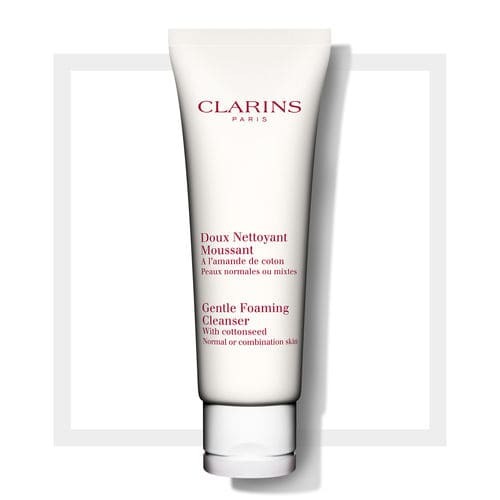 The refreshing cleansing mousse eliminates impurities, make-up, and excess oil. The soothing formula leaves combination skin perfectly cleansed, softened, and radiant. The lightweight gentle lather easily rinses off with cool water, and helps to neutralise the drying effects of hard water. An every day gentle skin care cleanser suitable for normal or combination skin. Rated 5 out of 5 by James83 from Deeply cleansing This is all about the lather...fresh scented...step two of my double cleanse, I challenge anyone to find me a cleanser as effective that leaves my skin as comfortable or fresh feeling! I recommend this as the perfect shaving foam for guys: you’ll never look back. Rated 5 out of 5 by lucy01 from Amazing This is the only product that has ever cleared my acne. Bought this last month when I had my worst ever breakout, and it cleared it within a week. Skin feels so clean and soft. Will never use anything else again! Rated 5 out of 5 by monia from Great product I've been using this product for over a year now and I still love it. The lady called Gosha at Debenhams, Oxford Street, London recommended this to me along with few other products and I can't thank her enough. I have a combination skin and my skin just feels so clean and very supple and remains almost matte without using any additional products. Also, I had way less breakouts than before, so overall great product and thank you Gosha once again. Rated 5 out of 5 by EmmaBelle from Clean skin feeling I'm very impressed with the clean skin feeling this cleanser delivers. It's a rich cream so I only need a dab on each check, then I keep adding a little water at a time until it lathers and rinses off. It leaves my dry/combination skin feeling SO clean yet cushioned, removing all traces of excess oil, and it smells like a luxury soap too. I usually use a cleansing balm as I find cleansing lotions a little too watery; this is a perfect in between product. Rated 5 out of 5 by Olly from Skin feels clean, fresh and soft. I was bought Clarins as birthday present off a friend. Never used these products before but i will definately change to this from my usual cleanser. Tiny bit goes a long way, my skin feels clean, refreshed and clean. Will definitely buy again. Thank you. Rated 3 out of 5 by osz00 from Hmm Only bought this last week for my normal skin type which is only slightly sensitive. Surprisingly, it Irritates and dries my skin and I’m pretty sure this is not meant to happen. Haven’t seen a significant enough difference to my skin yet either. Maybe things will change around? 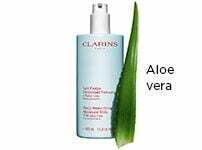 Rated 5 out of 5 by Helena68 from Love this cleanser Love this cleanser, as with all clarins products a little goes a long way, it washes off leaving my skin feeling really soft. Rated 5 out of 5 by Hulahoop from Best cleanser ever! I have very odd skin and everything brings me out in spots, I've never used moisturiser in my life because of this - and I'm in my mid 40's! This cleanser however is amazing. 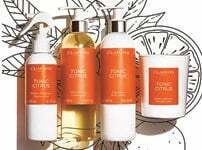 Not only does it smell divine but it leaves my skin so clean and fresh looking. After only a week of using this my mum told me my skin was looking lovely and clear, so it's obviously working! 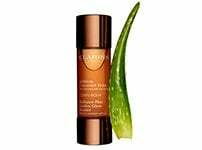 The only criticism I have is about Clarins, not this product. Delivery is so slow and I can wait over a week for a delivery, despite paying 3.95! This really isn't good enough.